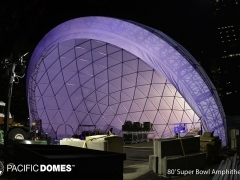 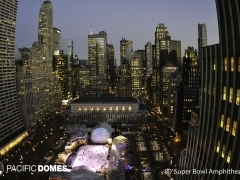 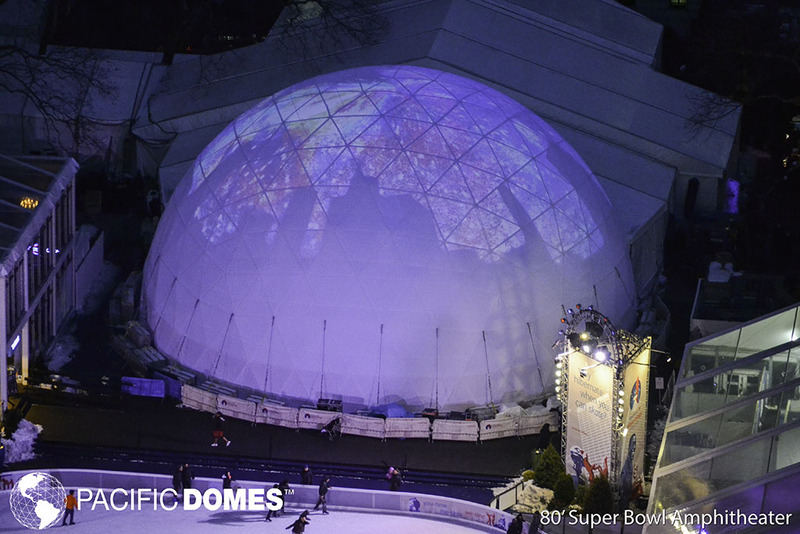 Amphitheater Dome: Pacific Domes has created the first ever, rapidly deployable Amphitheater Dome. 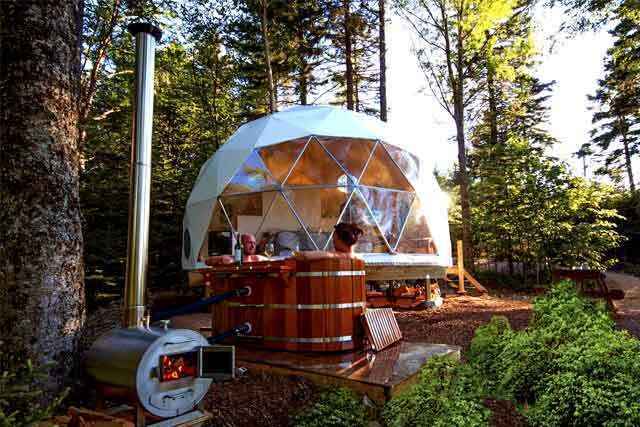 It is a gorgeous work of Geodesic Engineering. 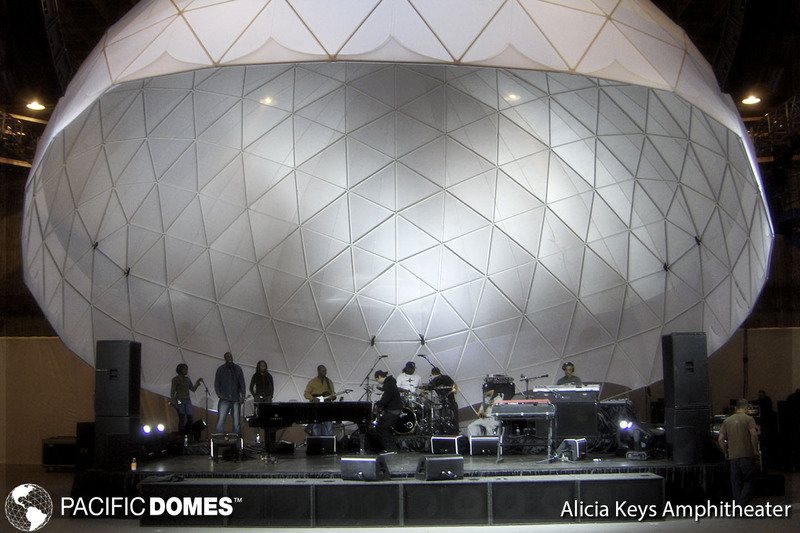 The Amphitheater Dome makes a beautiful concert venue that is as eye-catching from the outside as it is on the inside. 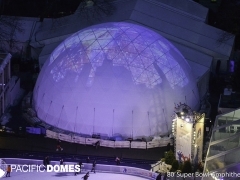 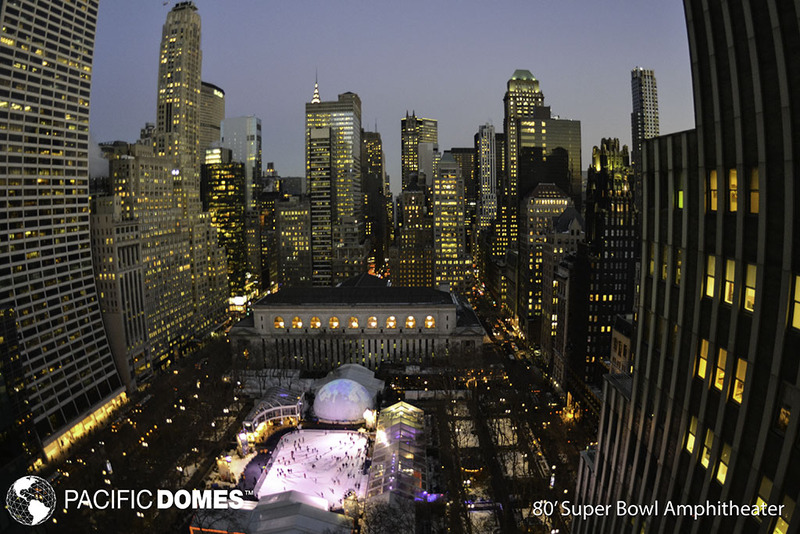 Domes have an unparalleled capacity for projection and lighting innovation. 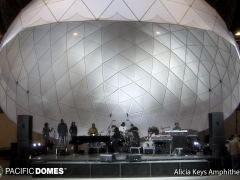 There are no center beams to interfere with viewing the stage. 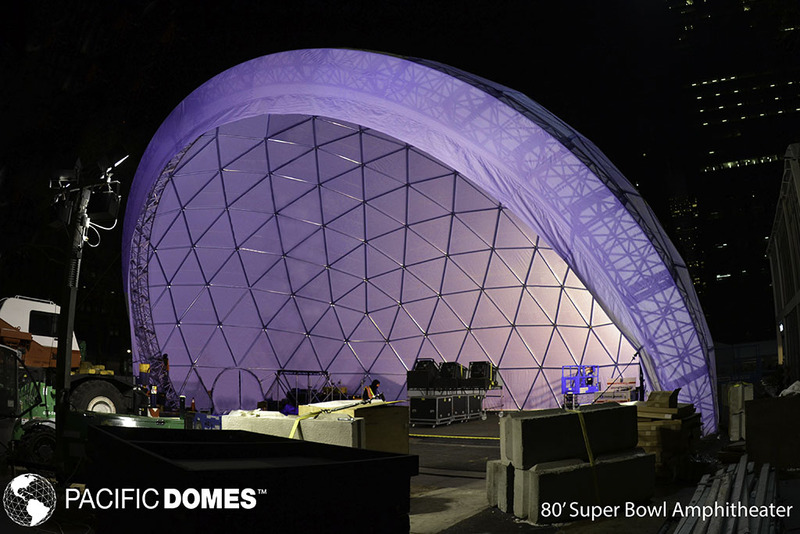 We use an exquisite truss system that also becomes the perfect housing for lighting your entertainment stage.